Bulk Image Converters allow users to convert bulk images into various formats like TIF, BMP, PNG, XBM, JPG, WBMP, PSD, PS, etc, add watermark to the images, edit image size, flip images, adjust color depth, customize properties, edit tags, rename file and much more. The following list of image converter software allows you to convert images in bulk to a range of formats with no trouble. Most of the bulk image converter windows are absolutely free and are available for installation to your computers. So, go through this list of free bulk image converter software and see which ones you like the most. XnView Shell Extension is advanced batch image converter software available for free. This software allows users to surf, categorize, and see images in FilmStrip View, Thumbnail View, SlideShow View, FullScreen View, etc. You can modify your images with the help of an array of editing tools offered by XnView. You can crop, resize and rotate images and adjust its contrast, brightness, edit depth of colors, and apply effects and filters. For capturing images, the software offers a suitable Screen Capture unit and WIA interface. 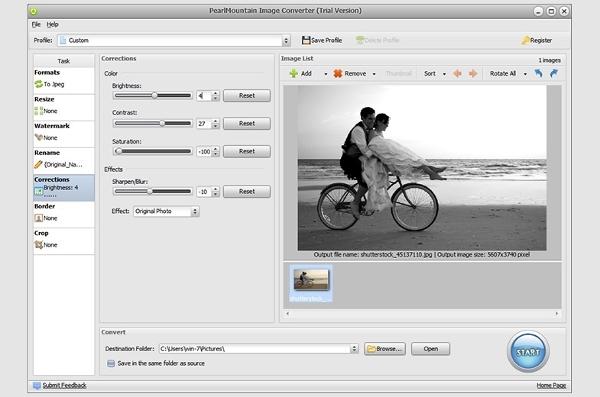 Pearlmountain Image Converter is an image converter and a comprehensive photography application which allows image rotating, resizing, cropping, etc in batch. It is a user-friendly automatic Batch Image Converter that can convert numerous image files of dissimilar formats to a desired format at a time in high speed. This software supports various image formats such as JPEG, PNG, BMP, PSD, TIFF, and many more. It also allows users to insert customized watermarks and batch rename images. 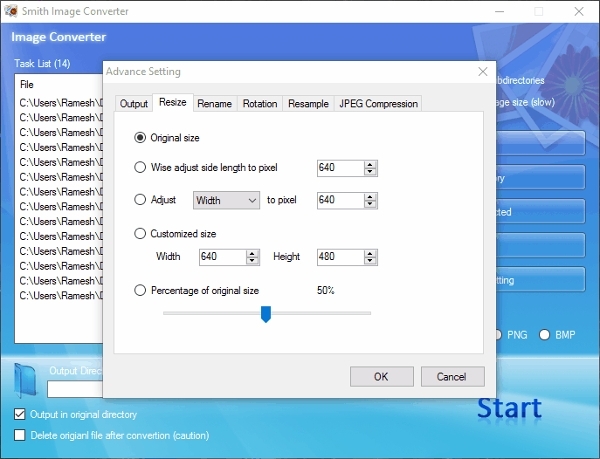 This freeware bulk image converter can convert bulk images into JPG, TIF, PNG, PCX, etc formats by changing the colors and size of the images, file names, just in a single simple step. CoffeeCup PixConverter also lets users add customized Watermarks to images and to create thumbnail pages for their websites. Users can import pictures from cameras easily with this software and upload them to a server with the software’s built-in FTP client. It is supported by Windows 7, Windows 8, and Vista. With the numerous editing tools offered by this image processing software, users can carry out a wide range of tasks of image editing like cropping, rotating, resizing, add watermark, adding or removing tags, converting format, etc. These modifications can be applied to several images at the same time. 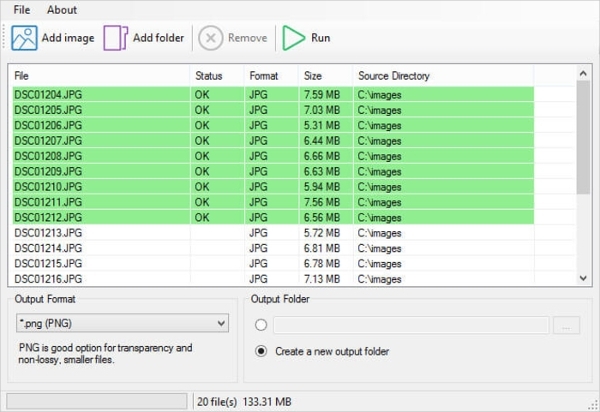 The “Task Structure” feature of this bulk image converter free download allows users to merge tasks to create a processing series which will provide them just what they wish for. Users can in addition redo or undo the changes they had made in the Task List. Morz Image Converter is a bulk image converting tool that makes batch converting images of a particular format to another and editing tasks easier. 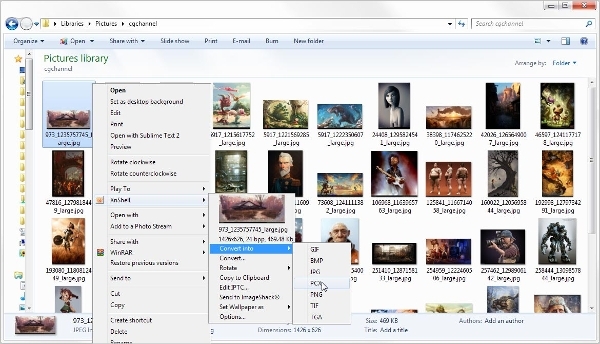 This bulk image converter online is integrated with Windows Explorer. As a result, users are able to convert images from the Windows context menu after the software has been installed in the system. Features like renaming files that have been converted or saving them from the source to another folder are absent in this software. It also lacks a good-looking interface and too many tools. This freeware batch image processing tool supports conversion of images to JPEG, Adobe PSD, Adobe PDF, GIF, BMP, Icon, PXM, PS, etc formats. It is a user-friendly software and images can be converted effortlessly by just right clicking on the image and selecting the “convert image to” option. The preferred format for the converted images needs to be selected and the “Convert” button needs to be clicked. One of the disadvantages of Rentasoft Image Converter is that it does not have the ability to resize images. 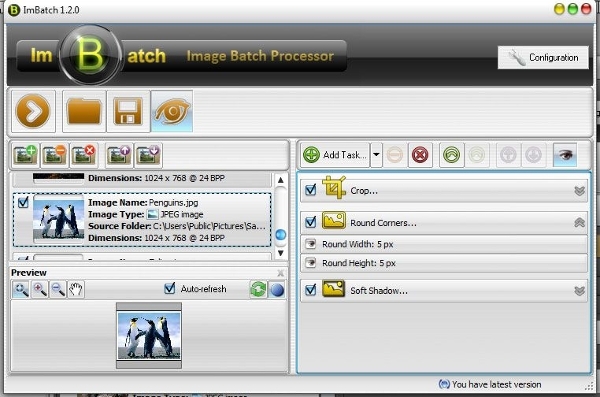 Advanced Batch Converter carries out the task of Image conversion effortlessly and quickly. It allows users to convert numerous graphics files with a single click. It also allows users to edit images in the software itself like resizing, flipping, cropping, filtering, enhancing color and much more. It can also create various effects like watermarks and morphing. The interface is user-friendly and the layout is uncluttered due to minimum use of buttons, which lets you concentrate in your task. 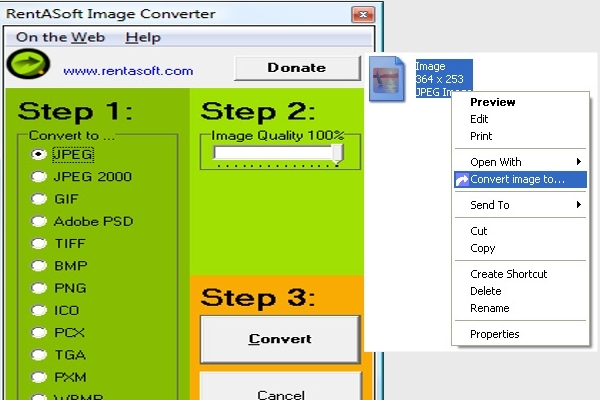 Smith Image Converter is an Open source image converter that supports Batch conversions. program also supports conversions among today’s more popular and frequently used PNG and BMP formats. This user friendly image converter software allows users to resize, rename and rotate images and also lets users add fundamental re-sampling functions on resizing. The freeware is also capable of fixing some minor bugs. How to Convert Bulk Image to a New Format with Bulk Image Converters? Firstly, browse the internet and select a suitable Bulk Image Converter. Download and install the software to your Windows PC. Next, choose a set of images and open all of them with the software. This can be done either by opening the pictures directly or by dragging and dropping the images into the icon of the software. After all the images have been opened in the software, click inside the software window and select all the images you wish to convert by pressing Command+A or by going to the edit menu and selecting that option. Next you need to go to the File menu and select the option of “Export Selected Images”. You may either create a new folder to save the converted pictures there, or choose a location where you want to save the files. After that, you need to pick the image format of your choice to bulk convert the chosen images to. To start the process of conversion, click the “Choose” button to save the image in the desired format. To inform the user that the conversion process is moving ahead, a progress sign bar emerges on top of the pictures. The time required for the entire conversion process will depend upon the number of images that have been chosen to be converted, the picture resolutions, and the format of files. However, bulk conversion of images with these software is usually pretty quick.